Located right across the street from the old Sloppy Joe’s Bar. 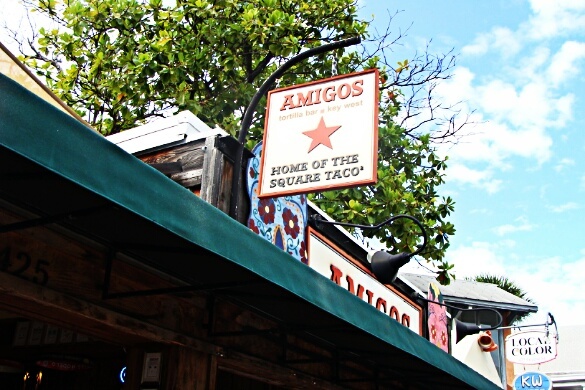 Home of the Square Taco. The food was good, and the people watching view was even better. 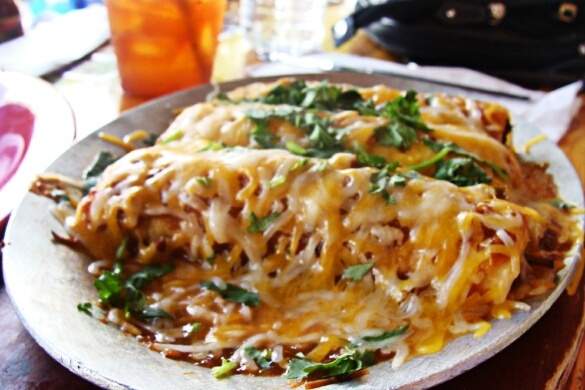 See our photos of the food, and the views below. 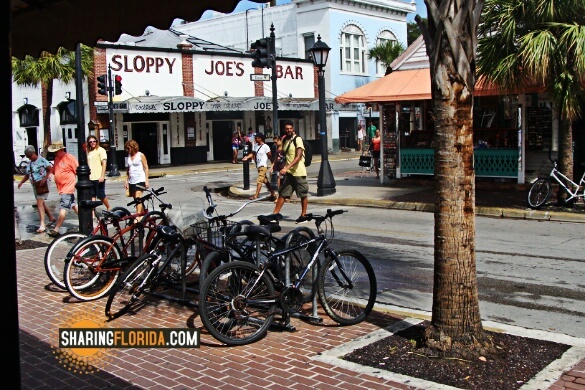 A view of Duval (Sloppy Joe’s) seen from the front seating at Amigos. Above, another view from Amigos. The square taco shells were unique, and homemade. 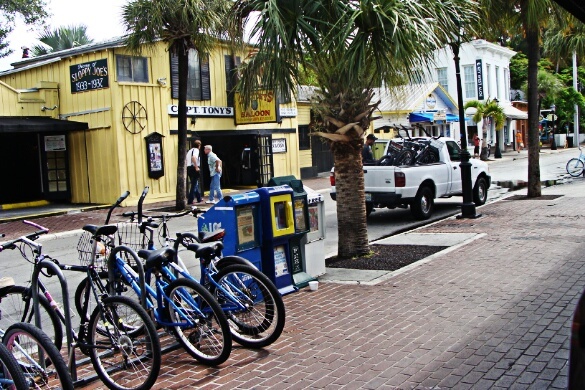 Great location for a quick meal as you are wandering Duval Street. May be a bit stuffy at the inside seats, so choose a seat with an outside view.